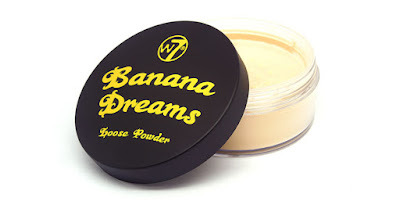 Home banana banana dreams face hype kim k makeup powder review reviews w7 W7 Banana Dreams Powder - Worth the Hype?? 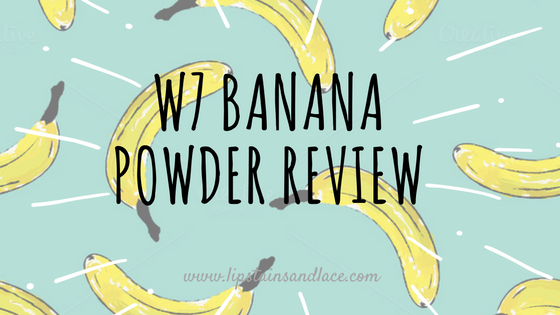 W7 Banana Dreams Powder - Worth the Hype?? So I'm back with yet another review of a product that for months everyone and their mother was trying to track down to try out! After searching store after store, only be met with sold out boxes I finally got my hands on the W7 Banana Dreams Face Powder. After it was posted online that Kim K herself was using the Ben Nye Banana Powder to bake with, brands started going crazy releasing their own more affordable versions of it. I was so excited to try this out because I had heard so many amazing things about it and saw gorgeous pictures online of people after using it. So I gave it a go.. and it's safe to say I wasn't one bit impressed. My first impressions of this product were that it was far too dark for my pale Irish skin, it was a bit cakey and I was left so disappointed. I assumed that because it was my first time using it that I didn't give it enough of a chance, so I tried it a couple of more times before I finally made up my mind. I tried applying it differently, using different brushes and sponges, different concealers as a base and I even tried mixing some light powder through it to even out the colour. But.. nothing worked. The colour of this was just far too dark for my skin and just made me look caked and dirty. I don't enjoy posting negative reviews, especially when the product is from a brand that I normally love but this product was just such a let down for me. This is one product I found was definitely not worth the hype and I wouldn't re-purchase it unless W7 were to bring out a paler shade (which they more than likely won't since this one sold so well). As I've said before, what works for me might not work for you and vice versa. But this really didn't work for me at all. If a friend owns this I'd recommend trying theirs out first before purchasing because the colour really won't suit everyone. Have you ever tried a hyped up product that you were left disappointed by? Let me know in the comments below!